My mom as a little girl. 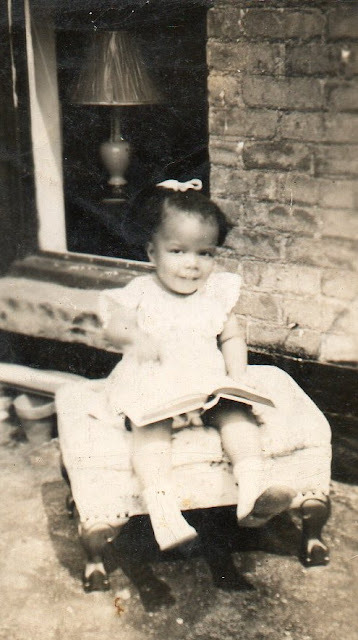 She has always enjoyed a good book! Awwww... Wonder what she's reading. What a sweetheart. She looks as though she is telling someone about her story.